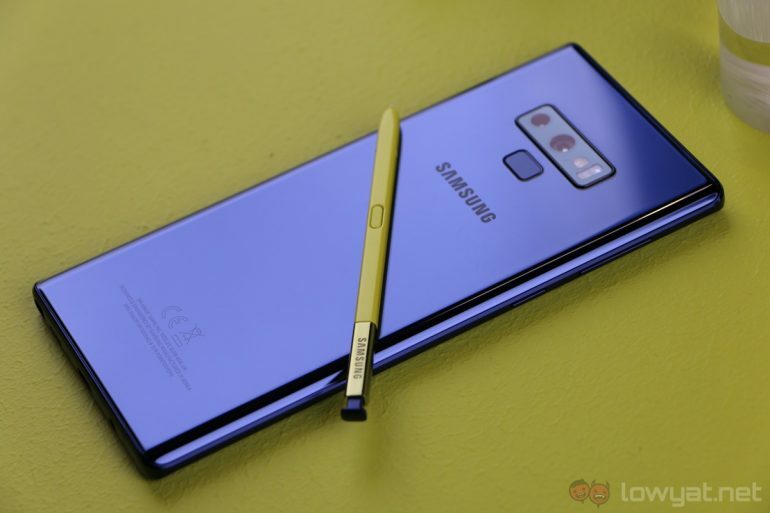 As mentioned yesterday, the newly announced Samsung Galaxy Note 9 is available for pre-order starting from today onwards in Malaysia. Even though Samsung Malaysia has its own pre-order program, the company has noted (aha) that consumers are also able to pre-order the device from its selected partners including telcos such as Digi. While Digi’s pre-order site for Galaxy Note 9 is not yet up, the telco has apparently sent an SMS to its customers regarding its pre-order program. 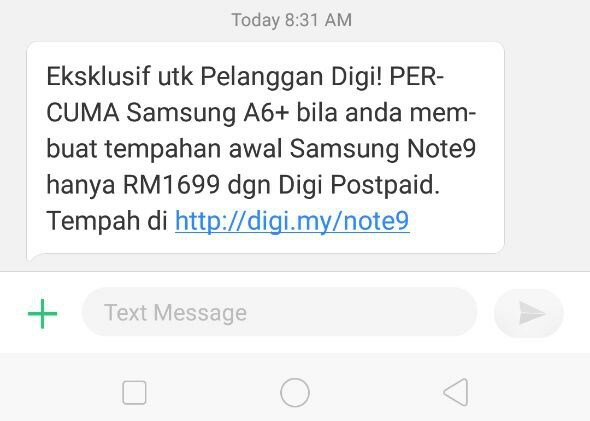 Being SMS, the info is rather brief but nevertheless, the message revealed that Digi Postpaid customers that pre-order Galaxy Note 9 will receive also Samsung A6+ for free. 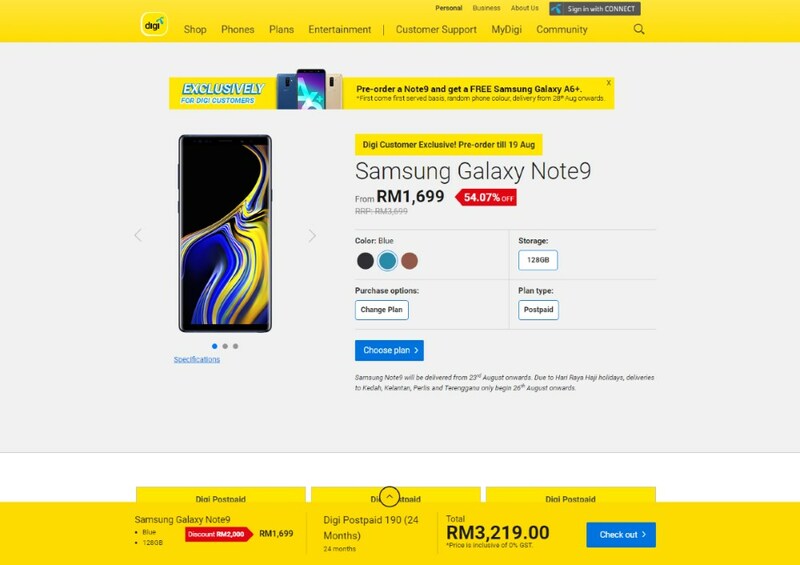 The SMS also stated that the Galaxy Note 9 pre-order price is RM 1699. We’ll be updating this post once we able to obtain more info from Digi which is likely after the pre-order site goes online. So, stick around. The Samsung Galaxy Note 9 pre-order website for Digi is finally up and we now finally know more details on what the telco is offering to pre-order customers. Do note that each of these Digi Postpaid plans under this pre-order program come with 24-months contract. 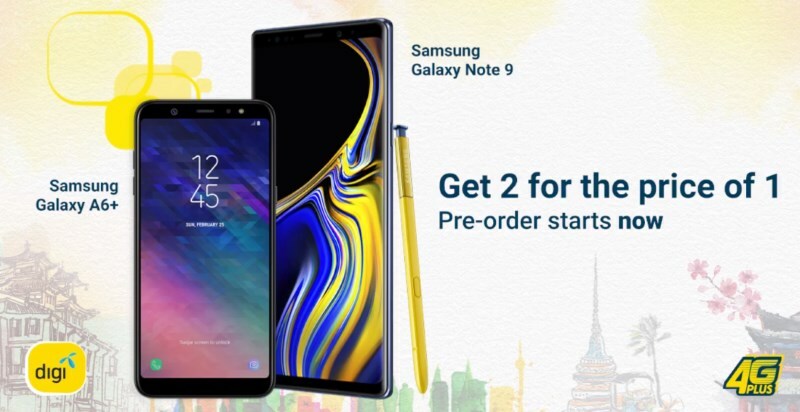 Consumers are able to pre-order Galaxy Note 9 from Digi from now until 19 August.